What better way to kick off your new year than by getting organized – without having to do too much work. Here is my gift to you, your very own January meal plan so that you can spend your time making your own New Years Resolutions. 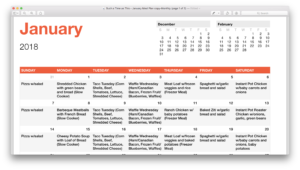 Pick up your free January Meal Plan! I decided to try out a different format – this time in a monthly calendar format. So, you can easily see what the meals are for each day of the week. Feel free to print out your meal prep/shopping list as well! Contains affiliate links, please see my disclosure policy. 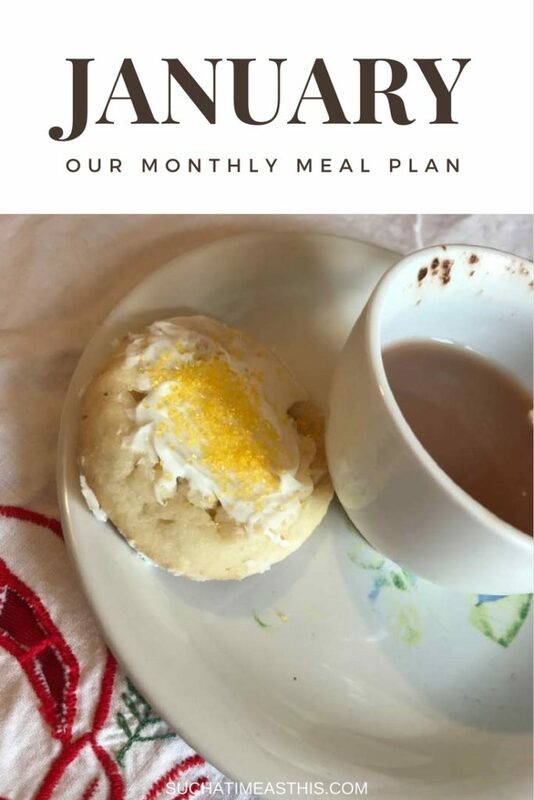 January Meal Plan – This follows the same meal planning tool that I used last Fall. In order to keep this simple and streamlined, I’ve made this just a dinner planning menu. We tend to keep our other meals very simple. Healthy (low sugar and mostly gluten-free) Cereals for breakfast, sandwiches, organic canned soups, and salads for lunch. 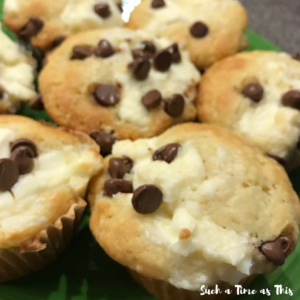 Every once in a while, I’ll throw in my favorite homemade chocolate chip cream cheese muffins for breakfast, for poetry tea time, or a snack. Shredded Chicken with green beans and bread (Slow Cooker) – 2-4 pounds of chicken breasts, 1 C water, 2 C green beans 6 hours on low slow cooker; 2 loaves of French Bread from Costco (frozen) 5 minutes in oven at 400f. We also love: Throw in half a bag of frozen (Costco) Italian Meatballs, 2 jars of barbeque sauce (also from Costco) and set for 6 hours on low, or 4 hours on high. Slice up some French Bread or steam some rice and you have a quick meal. Either make your own Belgium Waffles or do a very simple meal of frozen waffles (they even sell gluten free in the grocery store), frozen blueberries, sliced ham or Candian Bacon (We buy ours at Costco and it is Nitrate Free), and other fruit/toppings – we like Maple Syrup (also from Costco) and whipped cream. Thursday –This is our freezer meal cooking day. Friday — Spaghetti and Meat Sauce. I sautee the meat in a skillet until cooked, pour in my favorite sauce (we like Classico) and boil our noodles (we only eat gluten-free brown rice pasta now because our daughter has a gluten intolerance). We also make a side salad and some garlic bread from the local grocery store (this is not gluten-free but the other kids can enjoy it). My baked ziti is similar … I make it the same way except grate mozzarella cheese and mix it in and layer it on top. I bake for 20 minutes on 350f. Saturday — Instant Pot meal! We sometimes make our own using either a bread maker or KitchenAid to make the dough and then put the toppings on ourselves – or we do take out. BTW: Costco sells a huge pack of gluten-free pizza in their frozen section and my daughter makes her own that way.